Since I moved to the United States, Thanksgiving has become one of my favorite Holiday because I love the idea to take a moment to say thank you and to count my blessings. Today I want to say thank you to you all by sharing my uber-delicious chocolate pumpkin truffles recipe. I made these truffles with Pan Di Stelle, the chocolate and hazelnut Italian cookies topped with iced sugar stars. You can easily find them on Amazon or at any Italian markets. You can definitely substitute the canned pumpkin puree for fresh pureed pumpkin with the ratio 1:1. I used ground cinnamon but you can use pumpkin spice blend instead. Happy Thanksgiving to you and your loved ones from A Queen In The Kitchen! Pulverize the cookies in a blender or place them in a sturdy plastic bag and roll into fine crumbs. In a medium bowl, place pulverized cookies, cream cheese, pumpkin puree, cinnamon and mix thoroughly with a wooden spoon until well blended. Shape into 1-inch balls and place them over a baking sheet lined with parchment paper. Roll them in cocoa powder or dip them in melted chocolate chips. 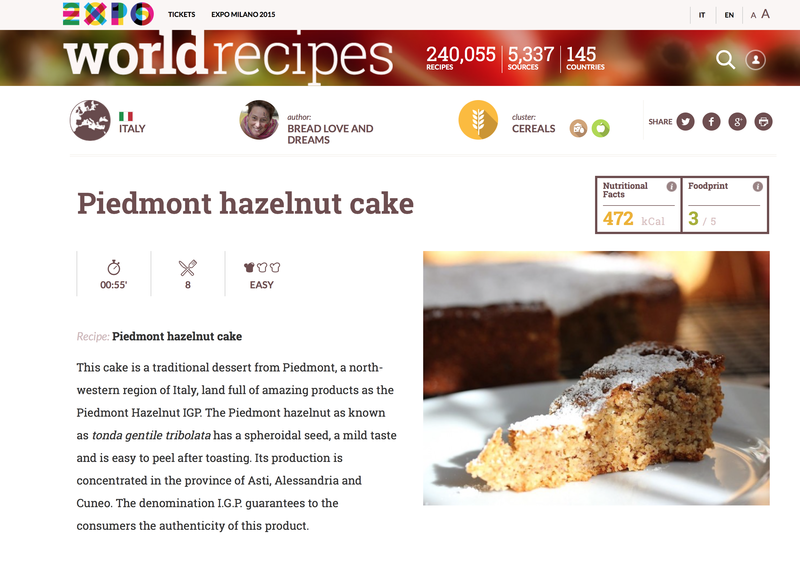 Piedmont Hazelnut Cake On Expo 2015 Worldrecipes Homepage! In a couple of days Expo 2015, the Universal Exposition held in my hometowm Milan (Italy) will end. The theme chosen for the 2015 Milan Universal Exposition is Feeding the Planet, Energy for Life. This embraces technology, innovation, culture, traditions and creativity and how they relate to food and diet. 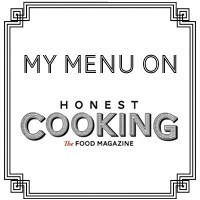 It has been a long and delicious journey, and such a great honor to be a part of it with my authentic Italian recipes, video recipes and recipes from around the world. 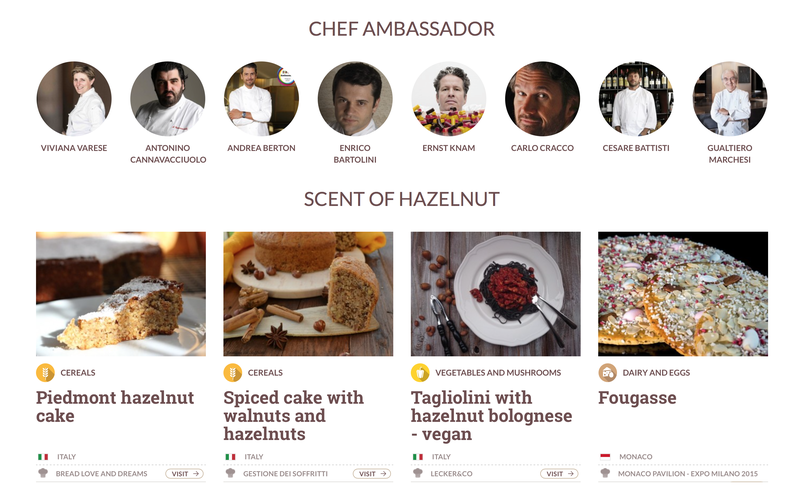 Today I couldn’t be happier to have once again one of my recipes featured on Expo 2015 Worldrecipes homepage along with prestigious Chef Ambassadors such as the Michelin starred Antonino Cannavacciuolo, the Maître Chocolatier Ernst Knam and one of my culinary hero Gualtiero Marchesi, the father of the modern Italian cuisine. A huge thank you to @Expo2015Milan for this amazing experience #expoworldrecipes #Expo2015 #tastetheplanet . Canestrelli (literally little baskets) are crumbly, flower-shaped, Italian cookies from Piedmont and Liguria region. 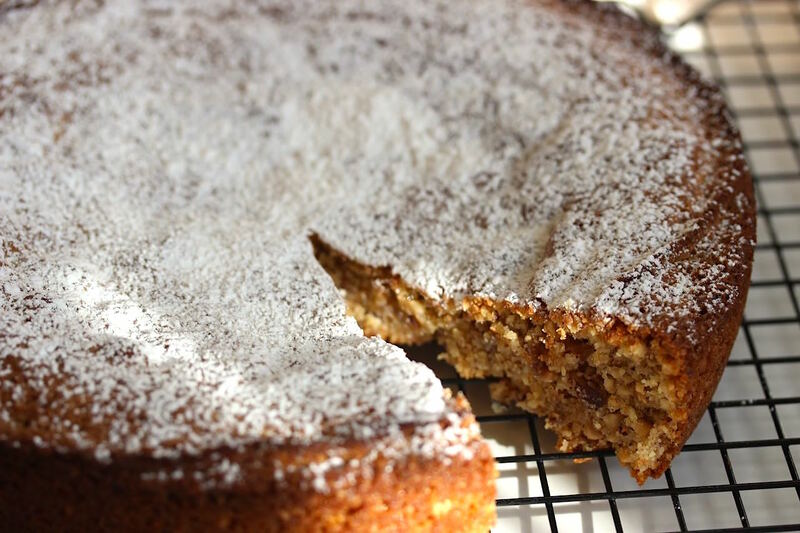 This is a revisited version with hazelnut flour. These cookies are the perfect treat for breakfast or snack time, delicious with a cup of tea or a cappuccino. Although the original recipe of plain Canestrelli recalls for hard-boiled egg yolks, I just used egg yolks but either way it will works beautifully. Prep Time : 1h 20 min. 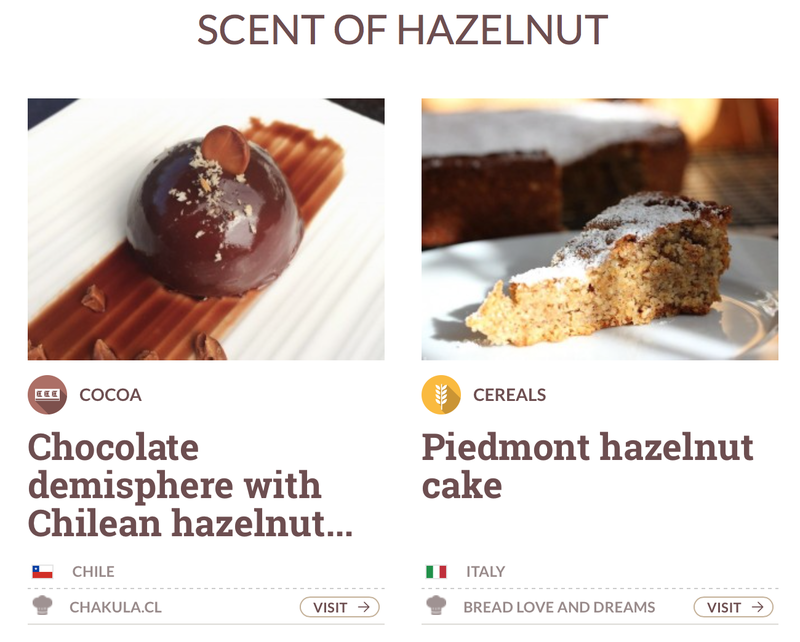 – Toast the hazelnuts in a large skillet for a couple of minutes. Allow to cool. 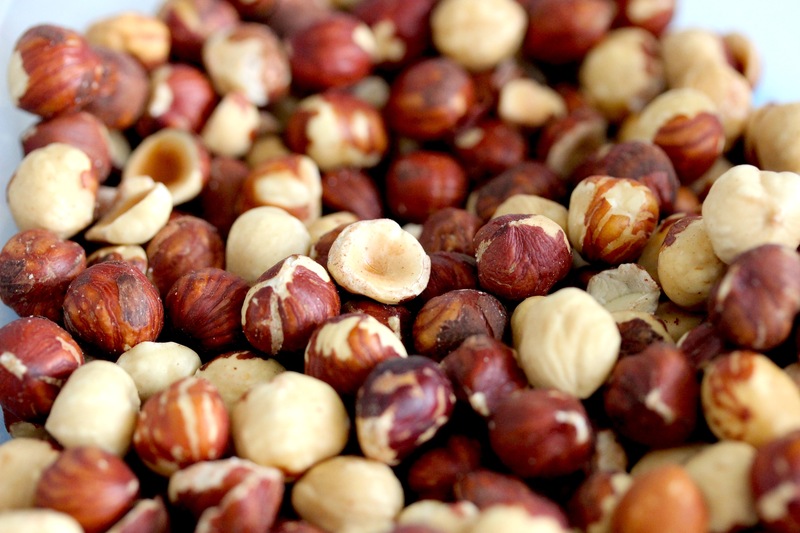 – Grind the hazelnuts in a food processor or high speed blender. – In a large bowl sift flour then add hazelnuts and sugar and blend the ingredients together. – Add egg yolks, vanilla extract and mix well. – Cut the butter into small cubes than add them to the flour mixture and knead until a firm and smooth dough forms. – Wrap the cookie dough with cling paper and let rest in the fridge for an hour. – Preheat oven at 350 F degrees. – Roll the dough 1/2 inch thick on a work surface. 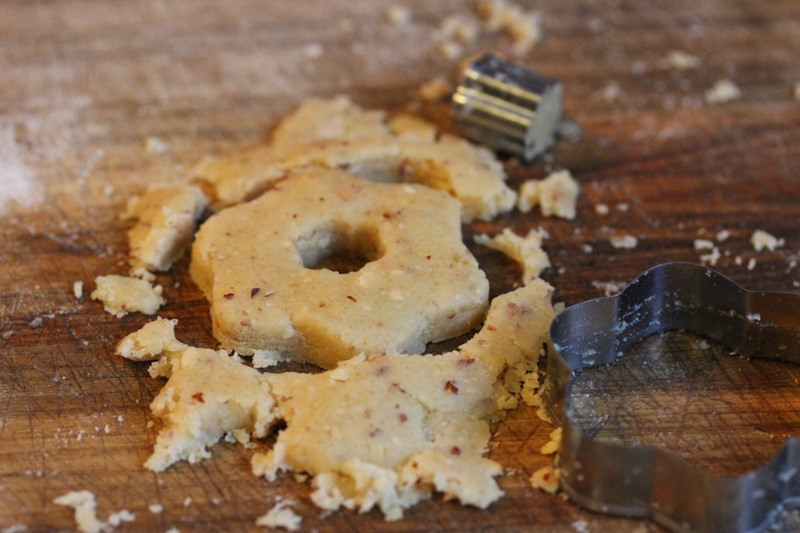 – Cut the dough with a flower-shaped cookie cutter and make a hole into the center with a small flower-shaped cookie cutter or with the back of a pastry tip. – Place the cookies on a baking sheet covered with parchment paper. – Bake the cookies for 8-10 minutes. 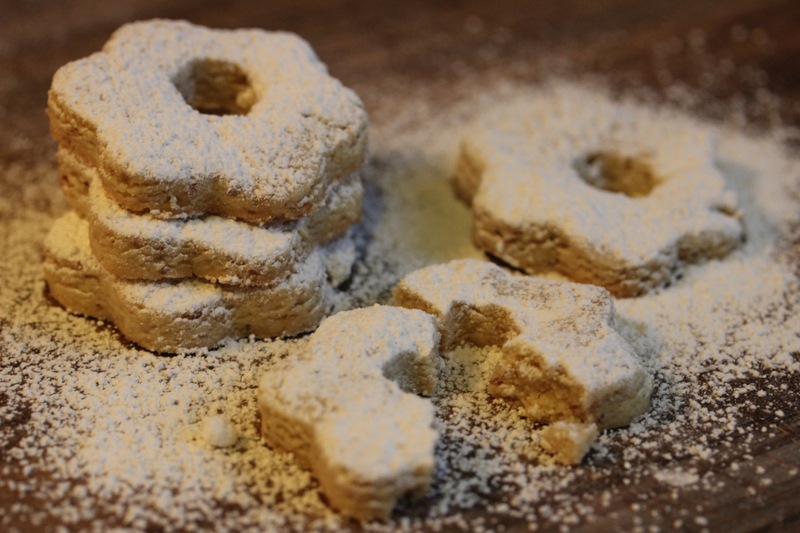 – Allow to cool on a cooling rack than sprinkle with plenty of powdered sugar. Hazelnut cake, hazelnut spread, hazelnut gelato, I love everything made with this precious gift of nature. 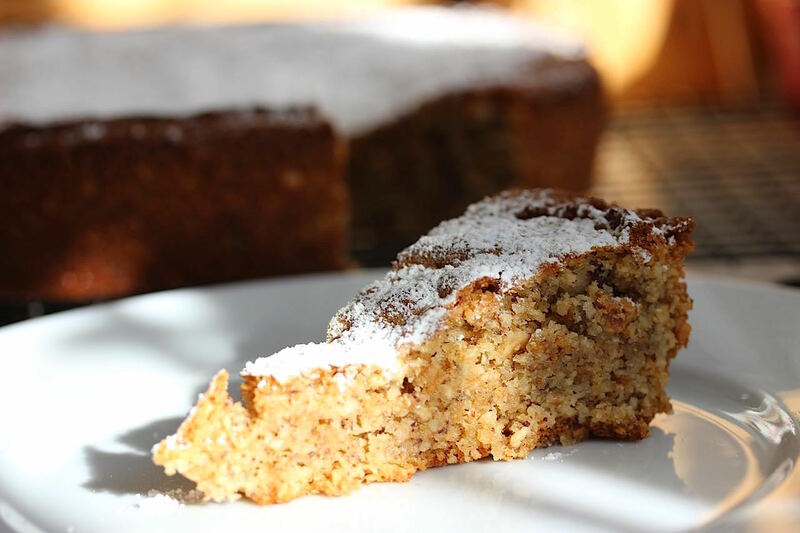 This is one of my favorite cake, a traditional dessert from Piedmont, a north-western region of Italy, land full of amazing products as the Piedmont Hazelnut IGP. The Piedmont Hazelnut as known as Tonda Gentile Tribolata has a spheroidal seed, a mild taste and is easy to peel after toasting. Its production is concentrated in the province of Asti, Alessandria and Cuneo. The denomination I.G.P. guarantees to the consumers the authenticity of this product. 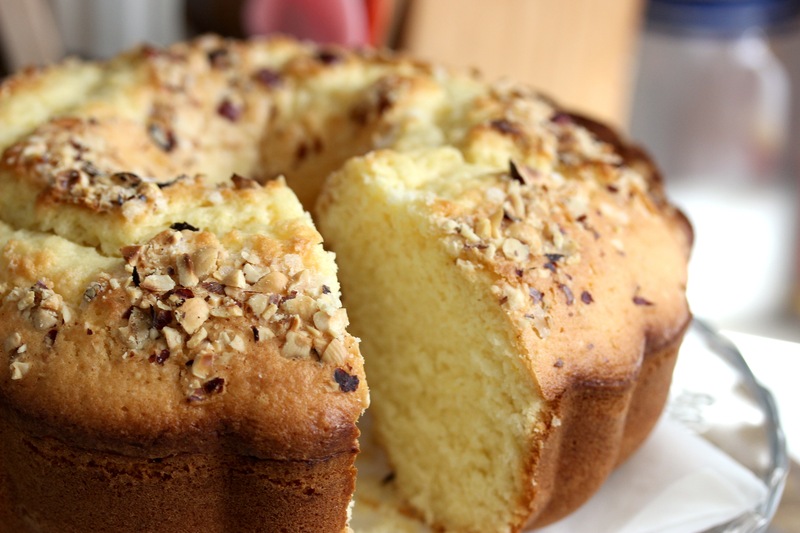 Enjoy a slice of this cake with a glass of Moscato D’Asti. Cook Time : 35 Mins. – Preheat oven at 375 F degrees. – Grease a 9 inch cake pan with baking spray or butter and flour. Set Aside. 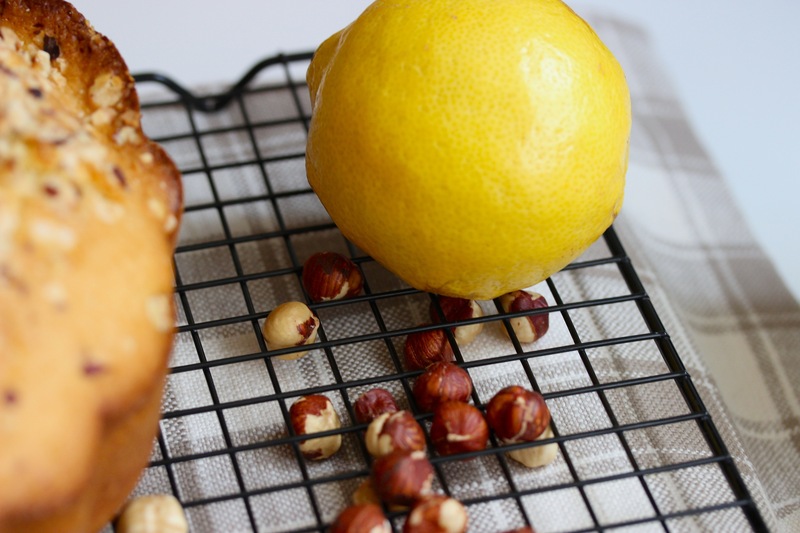 – Mix the hazelnuts with sugar, flour and vanilla baking powder. – Add the egg yolks and butter and blend thoroughly. – Whip the egg whites with the salt at stiff peak. – Gently fold in the whipped egg whites into the hazelnut mixture. – Bake for 35 minutes. – Allow to cool completely in its pan. – Sprinkle with powdered sugar before serving. I’ve always loved to bake Ciambelle, the traditional Italian cakes with the hole, and this one is a huge one so I’ll call it Ciambellone (big ciambella). 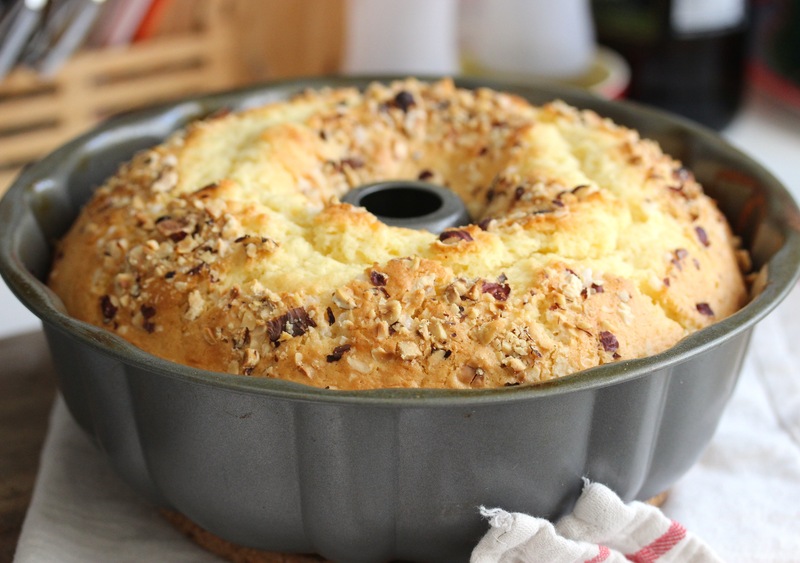 This ciake has a delightful, airy texture with a citrus and nutty flavor. I used to enjoy a slice of this delicious treat for breakfast or afternoon tea. If stored in an air-tight container, it will last fresh for the whole week. Whip the eggs whites at stiff peak. Let cool completely , then sprinkle whit confectioners’ sugar.